The classic Reebok Question is about to be unleashed like never before. 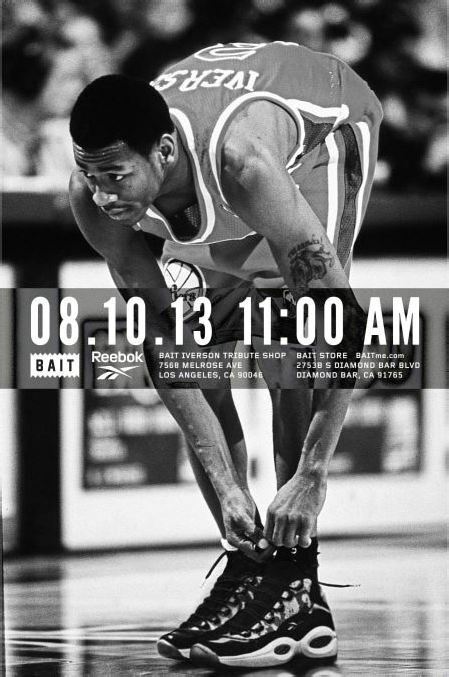 The BAIT x Reebok “Snake” Question Mid releases 8/10/2013 at 11am, exclusively at the BAIT x Iverson Tribute Shop and BAIT store. Hit the jump to see the flyer for full info and click here for more details. Are you ready? Can’t make it out to either location? Remember, the online launch of the shoe will be Sunday, August 11 at a random time between 9am and noon PST. The link will be posted via Twitter and Facebook.